On Chairlift's sophomore album, the Brooklyn bandmates piece together another retro-futuristic sound collage of 1980s synth pop, sci-fi club music, and arty electronica, with Caroline Polachek's pretty, almost classical-sounding vocals floating high above the mix. Like the music video for "Amaneamonesia," which featured a straight-faced Polachek doing fitness-video dance moves while wearing a bodysuit, Chairlift treat every song earnestly, even the ones that dive into camp. The goofiness that ran throughout their 2009 debut (remember "Le Flying Saucer Hat?") isn't so heavy-handed here, though, and several songs -- "I Belong in Your Arms," "Amaneamonesia," "Ghost Tonight" -- genuinely sound like forgotten '80s classics rather than 21st century pastiches. 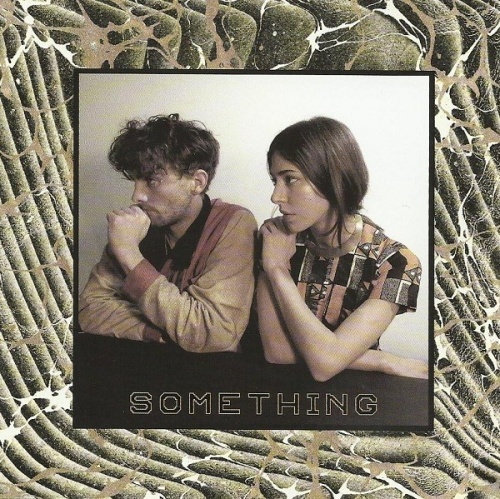 Something also serves as a killer breakup album, thanks to the departure of founding member Aaron Pfenning, who left the group after his relationship with Polachek, his girlfriend since Chairlift's formation, soured in 2010. In his absence, Patrick Wimberly takes on more responsibilities, singing backup vocals whenever necessary and underlying each song with sharp, deep-seated grooves. Polachek shines the brightest, though, her killer pipes evoking Stereolab's Laetitia Sadier one minute and Kate Bush the next. Splitting up with Pfenning has left her angry, even feral at points, and she opens up the album with a message to the boy who broke her heart: "All of the bones of your body are in way too few pieces for me/Time to do something about, if you know what I mean." Neither she nor Wimberly manages to come up with anything as frothily commercial as "Bruises," Chairlift's semi-hit from 2008, but that's not really the point. Something is a different beast: wilder than its predecessor, stronger in the songwriting department, and totally, wonderfully weird.